Technical Analyst Imtiaz Qureishi has maintained 'buy' rating on 'Bank of Baroda' stock to achieve a short term target that lies between Rs 720-750. According to Mr. Imtiaz, the investors can buy the stock with stop loss of Rs 675. Today, the stock opened at Rs 685.25 on the Bombay Stock Exchange (BSE). The share price has seen a 52-week high of Rs 720.90 and a low of Rs 376.25 on BSE. Current EPS & P/E ratio stood at 81.72 and 8.51 respectively. 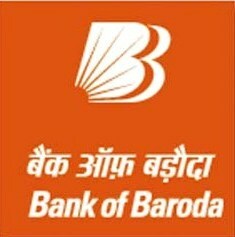 Bank of Baroda announced that its net profit for the three month period ended March 31, 2010 increased by 20.40%. The bank's net profit during the quarter stood at Rs 906 crore. Public sector lender has registered a total income of Rs 5,120.7 crore during the fourth quarter ended March 31, 2010 as compared to Rs 4,992.4 crore during the corresponding period of 2009. The directors of the bank have declared a dividend of Rs 15 per equity share on face value of Rs 10 a share for the fiscal ended March 2010. For the financial year ended March 31, BoB recorded a surge of 37.31% in its net profit, which stood at Rs 3,058.3 crore over the same period a year-ago.